As we approach fall I am reaping the last of my garden tomatoes. I’ll miss being able to walk outside and pick fresh produce right off the vine and I cannot wait until next year when I’ll be gardening smarter and harder. 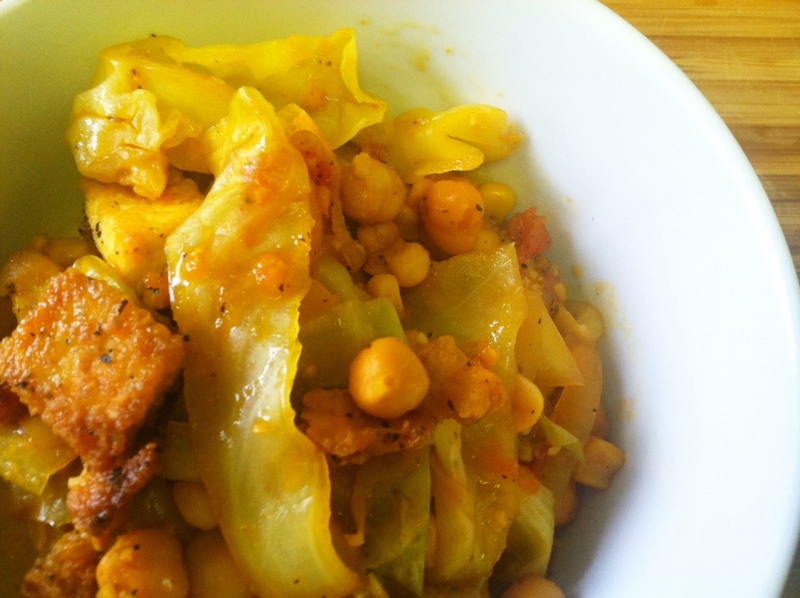 I created this yummy Spicy Garden Tomato & Cabbage Stir fry on the spot. It came out so well I knew I had to share it and add it to the recipe list. There is nothing like local fresh produce that you grew yourself. 1. Coat medium cast iron skillet with olive oil and pan fry tofu chunks over medium heat until browned on each side. Remove tofu and set aside. 2. Add garlic and onions to pan and brown for 7 minutes. Add cabbage, vinegar, peppers, red pepper flakes and season to taste. Reduce heat to a simmer and add 1/2 cup water. Cover skillet. 3. 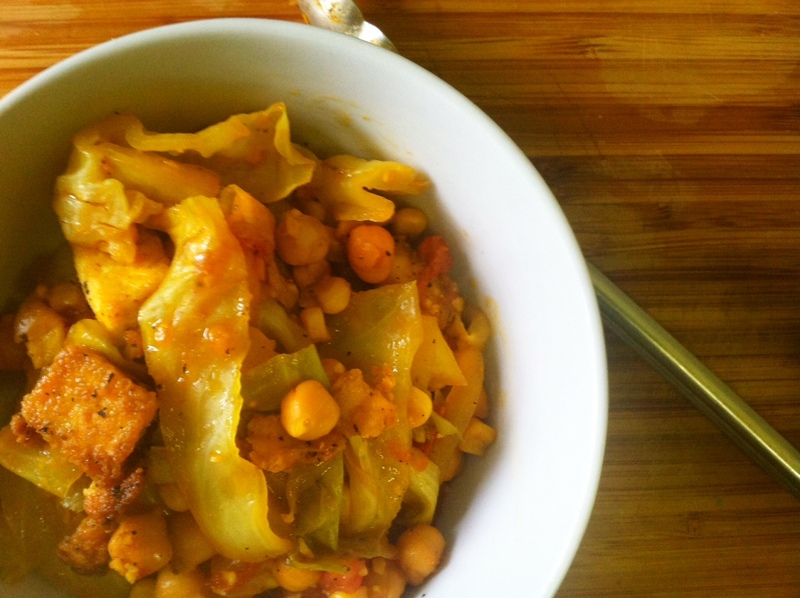 Let cabbage cook down for about 15 minutes. After 15 minutes add corn, chickpeas, and tomatoes and continue sautéing for another 12 minutes. Add tofu and brown sugar coating stir fry. Turn off heat and let stirfry sit covered for an additional 5 minutes before serving.